India-based Shubham Housing Development Finance Company has implemented Nucleus Software’s FinnOne Neo, a loan lifecycle management solution in the cloud. Nucleus says Shubham is one of the first dedicated housing finance companies in India to set up their lending platform on cloud infrastructure. 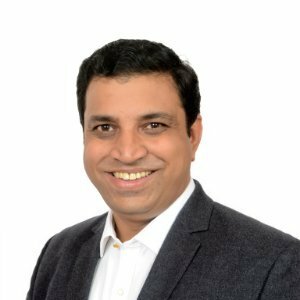 Ajay Oak, chief operating officer of Shubham, says Nucleus was chosen “because of its three decades of expertise in lending” and because its platform can be deployed in the cloud. “It will provide a seamless customer acquisition platform, streamline our home loan operations, reduce our costs and improve our ability to scale faster,” Oak explains. Nucleus adds that Shubham was among the first organisations in India to replace document-based underwriting with a customised credit programme for each customer. Established in 2011, Shubham provides housing finance solutions to families with “informal” incomes through a credit programme which “looks beyond traditional paper-based forms of income verification”. Its head office is in Gurgaon, India, and it operates in 83 cities across 12 states. By 2018 the company aims to provide 50,000 families with home financing. Away from India, Nucleus released its mobile loan self-sourcing solution, mApply, for the Australian market. Recently, its net profit after tax and revenue decreased in the financial year (FY 2016). Vishnu Dusad, CEO at Nucleus Software, made no mention about this decline, but says the firm is “beginning to see changes” in its “revenue mix”.